Cast Cover is a lifesaver! My son has both heels broken this summer – so we’ll have 2 casts. Your cast cover has been a lifesaver for a very active 10-year-old. Here are some pictures for your photo contest! some of them are pretty funny. 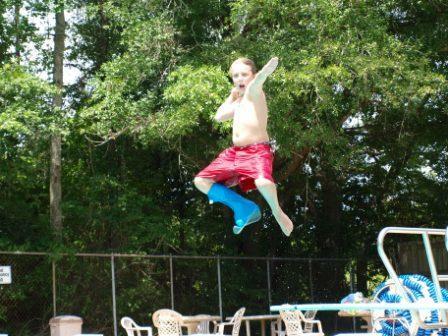 How he lands in the pool or he might need a few more DRYPro!